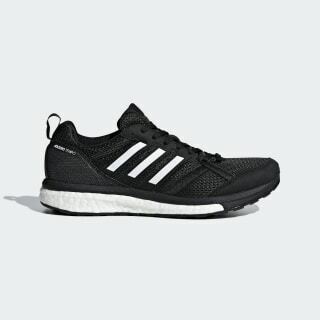 Lightweight and supportive shoes for running fast splits. Designed for speed, these neutral running shoes are built with a locked-down fit. The lightweight, breathable mesh upper has origami-inspired webbing that provides forefoot support. Dual-density cushioning is firmer on the arch side to guide the foot for energized stability.